Come enjoy Sarasota Bay's unique marine trails. Welcome to Sarasota’s only Native Water Sports company. Our team of sport and nature enthusiasts will introduce you to NEW experiences. We want to see YOU having fun on the water TODAY!! Island Style holds the crown for kayak rentals, kayak tours, and water sports in the Sarasota area. 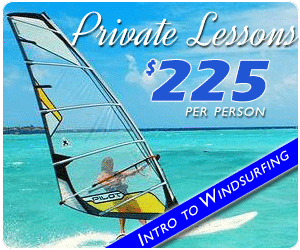 We have been teaching windsurfing professionally since 1987. We have also been kiteboarding and kiteboard coaching since 1999. We offer tours that are exciting for more experienced watersports lovers and also tours that are relaxing for those who want to simply enjoy the beautiful Sarasota sunshine. Experience some of Florida’s stunning and exotic wildlife such as dolphins and manatees during some of our tours! Be ready to enjoy a unique and unforgettable experience as you uncover mangrove forests, waterways around Sarasota Bay, and hidden beauty throughout the tours. You can choose from small tours which allow our tour guides to pay you, personal attention and ensure your safety and pleasure. Get out of the traditional beach trip routine and indulge in a wide array of activities including kayak tours, kayak rentals, and SUP (Stand Up Paddles) rentals and sales for you and your family to enjoy in the beautiful Sarasota beach scene! Discover new sights and wildlife and hidden beauty that is native to Sarasota. Our tour guides are well equipped to give you an experience like no other while safely enjoying everything nature has to offer. Your time with us will be both fun and educational as you learn and discover new things! Start your vacation off the right way and contact us to find out about the best watersports options for you. Even if you’re not on vacation, there are many health benefits as well as keeping you looking young. Island Style is here to offer you the best options and rentals in Sarasota. You can choose from kayak rentals, kayak tours, as well as lessons on various activities like windsurfing and kiteboarding. if you're searching for an adventure to do in the beautiful outdoor Sarasota area, then this kayak eco , family-friendly tour is for the entire family. Come paddle your way through the exotic tunnels of mangrove, and explore the Sarasota Bay, which is shared by dolphins and manatees. This tour is a family favorite for all skill levels and ages. Always wanted to try that? Looking for something fun to do while on vacation? Are you in search of some adventure? Did you see someone Kiteboarding (a.k.a. Kitesurfing, Kite Boarding) on the beach and want to explore if this sport is for you? If so...then let us help you!! Our paddleboard tour guide and instructors are certified with over 2 decades of exploring experience of the Florida waterways. We take pride in our team of experts in helping you get out on the water safely, teaching you the techniques and fundamentals of stand up paddleboarding, while you and the family are having fun and creating great memories. If you’re fearless when it comes to water, speed and swimming, you’ve got the perfect criteria for learning how to windsurf. 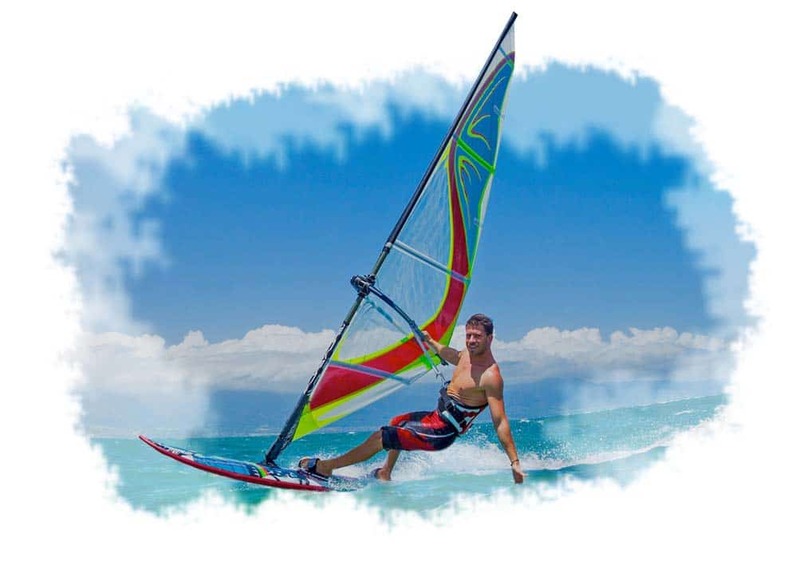 Windsurfing is all about balance and control so if you can master that, you’re well on your way! With us you have a wide array of options to choose from when it comes to kayak rentals and Kayak tours. 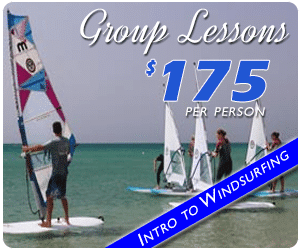 Choose from kiteboarding private lessons, intro to windsurfing private lessons, and even group lessons for an intro to windsurfing. We also offer SUP (Stand Up Paddles) for rent or sale. You can enjoy kayak rentals and kayak tours to view amazing scenery and stunning wildlife in Sarasota. Take advantage of our specials and choices of different options of activities to decide whether to indulge in action-packed watersports or simply relax and go with the rhythm of the water with our kayak rentals. Watersports have great benefits besides being fun. For one, you automatically get to be outdoors and enjoy the fresh air as well as being one with nature. This alone lifts up your spirits and sets a good mood as well as it keeps you energized throughout the day. Water sports also offers health benefits such as decreasing the risk for diabetes and chronic heart disease and decreasing the risk for Chronic Disease. It also improves bone density, mental health, and it’s beneficial for people with arthritis. Water safety and basic navigation is a crucial element to the Island Style camp. Your kids and teens will choose from child-size equipment and will have a lot of hands-on, individualized expert coaching which will make learning a breeze. Campers will learn from a wide option of water sports and adventures from stand-up paddle boarding, swimming, snorkeling excursions, to exploring the wonders of the barrier island marine environment. Campers will be introduced to water safety and key environmental awareness (weather, tides and water conditions) as they embark on daily paddling expeditions and adventures to mangrove islands and sandbars teeming with exciting and interesting marine life. Locations are selected to ensure a fun, adventurous and safe experience for all such as South Lido Mangrove Forest, Jim Neville Preserve, and Sarasota Bay. Week-long camps run throughout the summer months with half day sessions starting at 9 am. We offer a low teacher to camper ratio 1:8 to ensure a fun, safe, and unique experience for all. 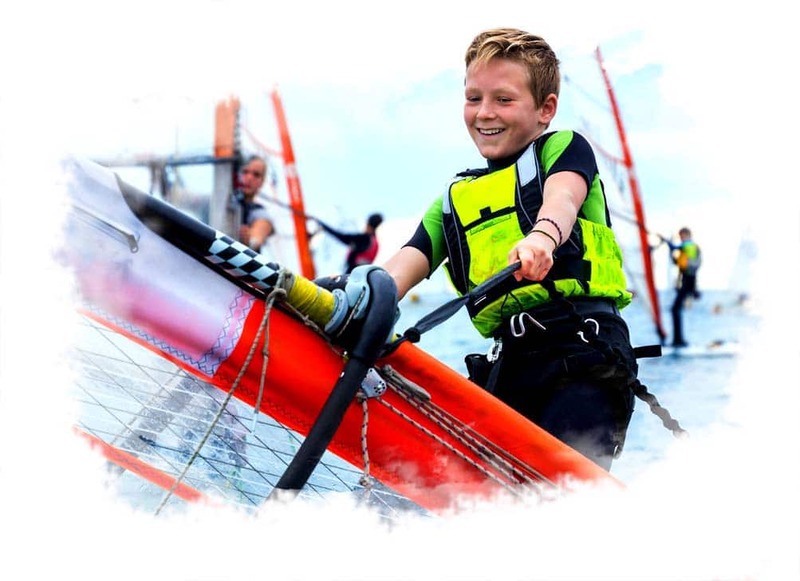 Your child will complete the camp with a higher self-esteem from learning new challenging sports and having a week-long packed with fun and discovery.